Don’t you just love the classic elegance of British vehicles? The British Motoring Festival is the perfect event for you to experience an amazing selection of the best of British motoring. 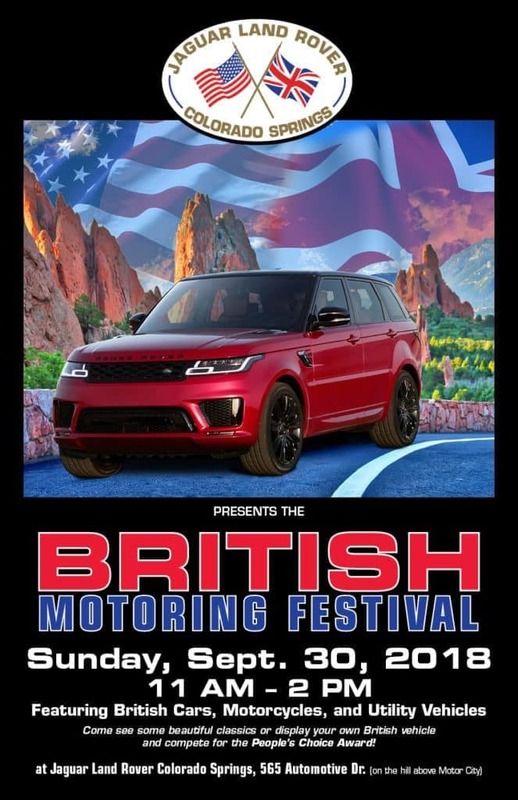 Mark your calendar to join us on Sunday, September 30 from 11 am to 2 pm at Land Rover Colorado Springs at 565 Automotive Drive. Whether you want to enjoy looking around at the beautiful vehicles or bring your own British vehicle to show, we hope to see you there!